Emergency Capsules is designed for individuals for under 200lbs. Over 200 lbs? 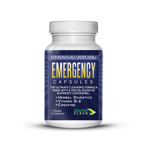 You need our Emergency Detox Capsules XL! Detox pills that will beat any drug test! From the makers of the world's most trusted detox drinks, synthetic urine products and hair cleansing products comes Emergency Capsules! Designed for individuals under 200 lbs, Rapid Clear Emergency capsules are 100% undetectable in the urine and are effective in as few as 45 short minutes! Urine sample drug tests detect drug and other substance use by measuring toxin metabolites in the urine sample. Metabolites are the byproducts produced by the body as it processes whatever substances are ingested through inhalation, eating, drinking or injection. The body stores the substance metabolites in fat cells, and as the cells are burned for energy, the metabolites are discarded from the body through the urinary system. For light to moderate toxin levels. Rapid Clear Emergency Capsules work as a flushing agent to detoxify your body of all unwanted toxins, allowing you to pass a urine sample test that checks for ALL substances including alcohol and nicotine. By temporarily speeding up the body's ability to flush out unwanted drug metabolites. Users of Rapid Clear Emergency Capsules test clean in all laboratory drug tests for up to 5 hours after taking the Rapid Clear pills. Within 45 minutes of consuming the Rapid Clear Emergency Capsules, you'll be guaranteed to pass any drug test! Capsules are 100% effective for a minimum of 5 hours after consumption. Drug tests detect urine sample tampering by measuring the sample's pH level, creatinine level and specific gravity. The drug tests also check for the presence of certain chemicals and herbs that are known to be used by people in an attempt to mask the presence of THC metabolites or opiate metabolites. Emergency Capsules will not lower your body's natural pH level or alter your creatine level, and will not adjust the specific gravity of your urine, so there's no reason for the drug test laboratory to think you have masked any drug or toxin metabolites. Rapid Clear Emergency Capsules are absolutely 100% undetectable by laboratory drug tests and contain no chemicals or herbs that if detected are cause for an automatic retest. For best results, users of Emergency Capsules should avoid foods and drinks high in sugar, like fruit juice, and should refrain from exercise the day of their drug test. Users should also be prepared to urinate frequently after taking Emergency Capsules. Once the effects of the capsules have worn off, the individual will continue to test positive for toxins. Rapid Clear Emergency Detox Capsules carries a 100% Satisfaction guarantee. 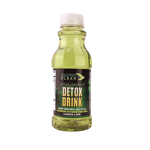 Question: Which product works better, the Rapid Clear Detox drink or Rapid Clear Emergency capsules? Answer: Both detoxifying products are equally effective for passing urine drug tests. The choice is a personal preference. Some people hate drinking a lot, and some people have a phobia of pills.